WebStickies is a place on the web to save your notes. 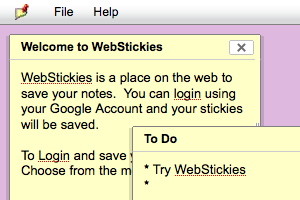 You can login using your Google Account and your stickies will be saved. I’ve got lots of feature in mind, but who know if I’ll have time to add them. Enjoy.